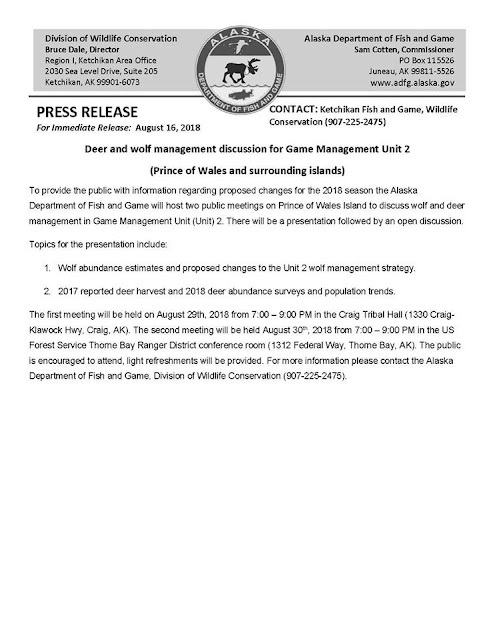 The Alaska Department of Fish and Game will be hosting deer and wolf management discussions for Game Management Unit 2 on Prince of Wales August 29th in Craig and August 30th in Thorne Bay. The City of Craig is considering a revision and update to the city web site. 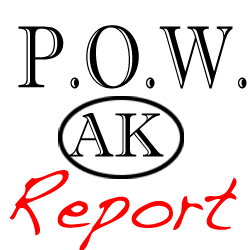 Please take a few minutes and fill out the survey at https://www.surveymonkey.com/r/ZWJPXSB to let us know what you use, what you don't use, and what you would like to see on the city web site.